HomeNew CarsMercedes-Benz CarsMercedes-Benz B-ClassMercedes-Benz B Class FAQsHow many colours are available in Mercedes-Benz B Class? How many colours are available in Mercedes-Benz B Class? The Mercedes-Benz B Class is available in 3 different colours namely Polar Silver, Cirrus White, and Jupiter Red. Is Mercedes-Benz B Class available through CSD canteen? 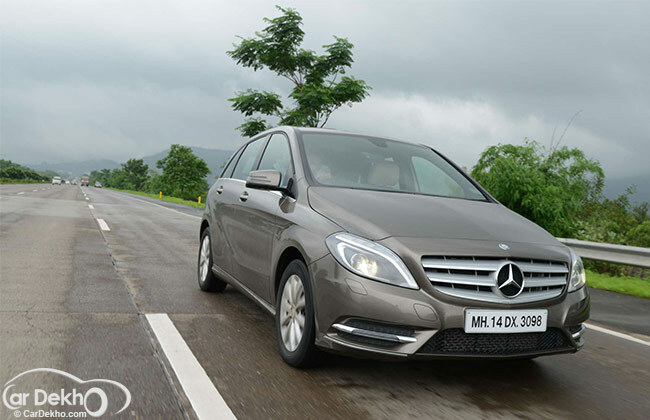 What is onroad price of Mercedes-Benz B Class in India? What is the price of Mercedes-Benz B Class in India? What is the lowest price of Mercedes-Benz B Class in India? What is the waiting period of Mercedes-Benz B Class in India?